It is a vexing aspect of getting older that the seemingly novel exhibitions of the present in fact turn out to be reprises, usually of exhibitions held about a generation ago. This is not only true for the more popular exhibitions of modern art dedicated to a single artist (usually a painter) but also for old master exhibitions involving prints. Thus when one comes fresh to the recent exhibition in Bremen about Dürer (d. 1528) and his patron, Holy Roman Emperor Maximilian I (d. 1519), it comes as a revelation of the novel project of that ruler - to use prints in order to bolster his authority across the length and breadth of his far-flung imperial realm. Dürer was the ideal artist for the task. His mastery of woodcut and his strong Nuremberg production team, including block-carver (Formschneider) Hieronymus Andreae, facilitated the distribution of Maximilian's visual public relations (which would be called propaganda in the modern world, after the Jesuit image campaign for the Catholic Church during the seventeenth century). Moreover, Dürer's cultural prestige combined with his knowledge of Italian Renaissance artistic vocabulary could reinforce the "Roman" claims to an imperial office by the Habsburg ruler. These points emerge clearly from the Bremen exhibition and its catalogue. Yet for an older scholar there remains an overtone of déjà vu about this project, and its precedents are easy to discover. Not only were there major exhibitions of Maximilian I. held in both Wien (1959) and Innsbruck (1969), but there was also a serious Maximilian component of the major Dürer exhibitions (Nürnberg, 1971; Wien, 2003). In the latter case an essay dedicated to this very subject - by the same distinguished author from Wien, Mathias F. Müller - appeared already in that recent catalogue (88-101). 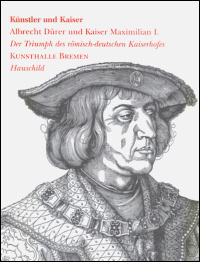 Moreover, an entire exhibition of this subject appeared thirty years ago: Hanna Dornik-Eger, Albrecht Dürer und die Druckgraphik für Kaiser Maximilian I. (Österreichisches Museum für angewandte Kunst, Wien, 1971). Thus one can well ask the question whether this is just a way for North Germany to experience this phenomenon in a proud, imperial city with a distinguished museum (recently relieved to have returned its precious Dürer drawing, Woman's Bath House, 1496; Wien, 2003, no. 55). Or else whether this is just another instance of the same exhibition amnesia that leads to repeats of past successes being re-enacted once again. Unlike some of the earlier studies on Dürer and Maximilian, this catalogue includes a wider range of associations. Its portrait section includes the likeness of the artist as well as the emperor as well as some of their associates, including Erasmus and Pirckheimer. One element that does properly expand upon the core material is a discussion of St. George, patron saint of the Crusades and a pendant image to the woodcut equestrian portrait of Maximilian himself (1508; nos. 18-19). Related works by Cranach combine with Dürer's own Knight, Death, and the Devil (1513; no. 8) to underscore the significance of knighthood in the context of the imperial ideology. 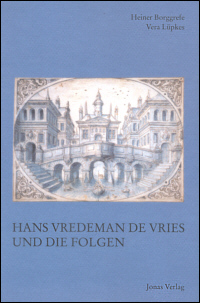 A most useful section giving appropriate attention to the illustrated book projects of Maximilian features Teuerdank, Weisskunig, the planned volume on Habsburgs saints, and Dürer's own tour-nament book fragment, Freydal (1516) - however, the illustrations are small thumbnails rather than full-scale images, as if to dismiss the importance of these images. A section with images glorifying the emperor, featuring the multi-sheet Arch of Honor (no. 33-34) is admixed with images of Austrian saints and other unrelated images, which are included to show ornament and structural elements in later echoes, but these are more distracting than instructive. More tightly focused but also wide-ranging, the next section, on the Triumphal Procession (no. 61; more tiny thumbnails) is accompanied by a rich roster Italian prints with the same subject, ornamental vocabulary, and Roman imperial subjects. Here, too, important Dürer contributions, particularly the Burgundian Marriage Cart (no. 42) from the Triumph as well as the posthumous Great Triumphal Chariot (1522; text by Pirckheimer; no. 57). Thus a strength of this exhibition is the range of models, parallels, echoes, and influences of the graphic program of Maximilian I., including Italian prints of the same general period. This expansiveness outward from the core concern of the artist and his imperial patron could distract a viewer or expand the significance of the particular focus beyond the Empire and its artists. 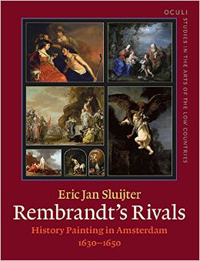 The historical setting is amplified by a useful chronology and roster of biographies of artists. Müller's essay (pp. 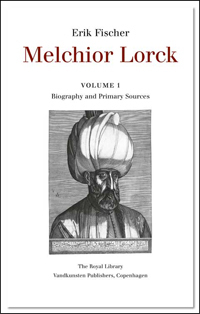 17-29) provides the essential connections between art and ideology as well as the back- ground of Maximilian's humanistic advisers and his own patronage of imperial visual culture. Its concise exposition remains fundamental to the entire project. Ultimately for the scholar there is relatively little here that is truly new, even as an exhibition, except for the stretches towards the graphics of Italy, which are not always closely connected to the core concerns. Moreover, there is material missing from the bibliography and the references, such as the recent monograph on the Arch of Honor by Thomas Ulrich Schauerte, Die Ehrenpforte für Kaiser Maximilian I. (München/Berlin, 2001). But for the most part the bibliography is good and full (how can one not delight in having one's own work cited?). As long as one is not so old that it has already been shown or discussed before, this material comprises a very important aspect of Dürer's art production in its political and cultural context. The surprise, perhaps is to find an exhibition that seems so much more integral to the history of Wien or Innsbruck now installed on the walls of the Kunsthalle in Bremen.